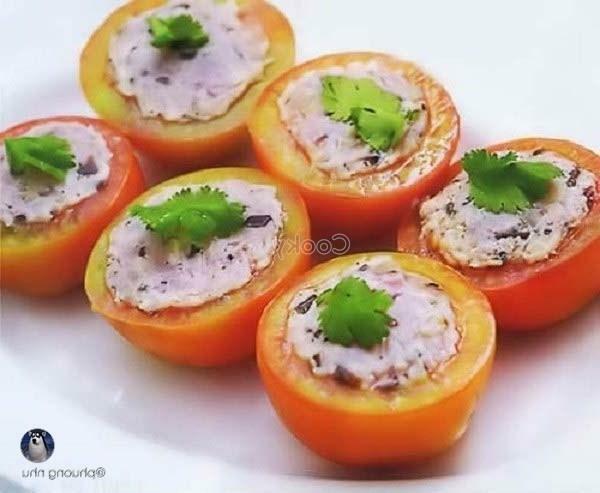 How to make tomatoes stuffed with pork provides us an easy way to cook a new and delicious dish for dinner. 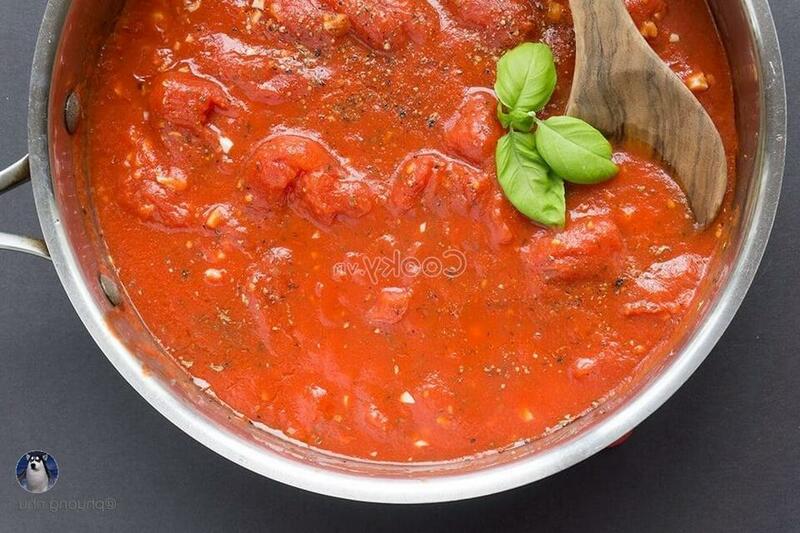 Also, its red color will attract our favor to enjoy the meals. 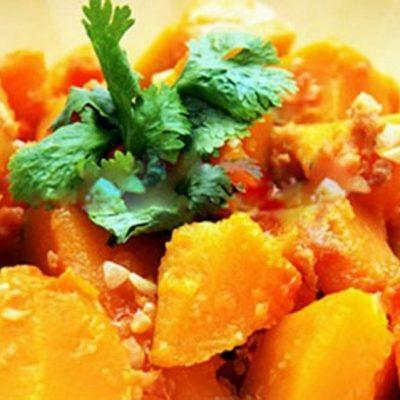 Moreover, nutrients and vitamins from the dish are also diverse, very good for our health. 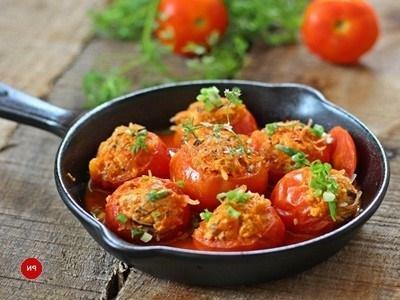 Wash tomatoes and cut them into a half. Also, use a spoon to remove their seed and placental tissue and place them in a bowl. Then, cut off their sepals and pedicels. 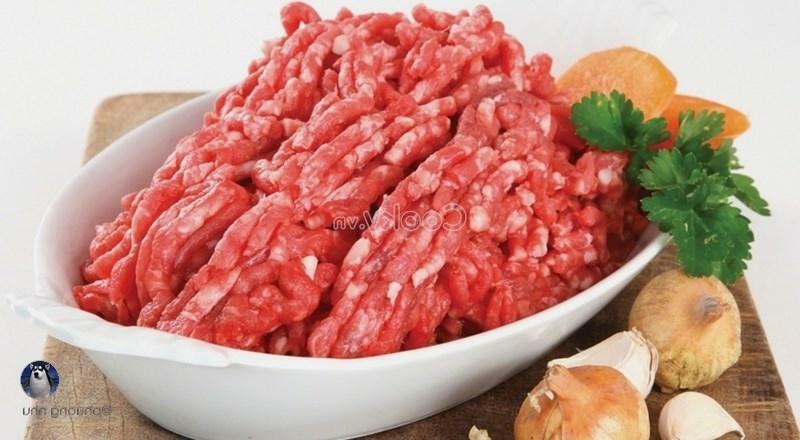 Add minced pork in a bowl and mix it with purple onion, ½ of a teaspoon of garlic, white sugar, salt, and seasoning. Next, pour 1 teaspoon of cooking oil into the bowl to make the mixture soft. Let it rest in 7 minutes. 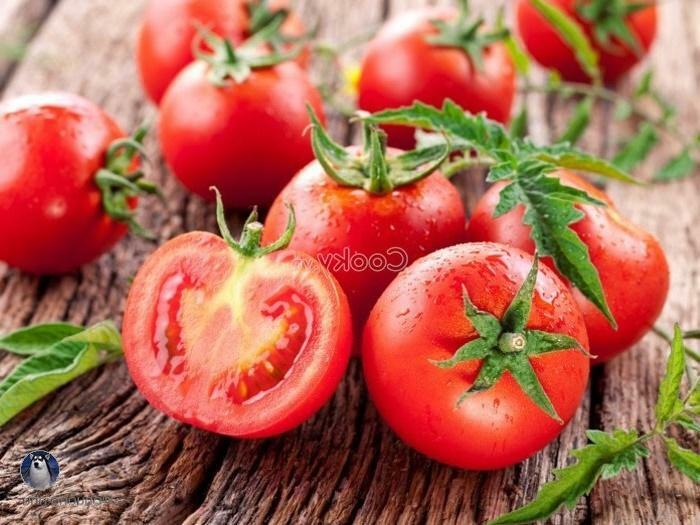 Take a small amount of the mixture and place it into the half of the tomatoes as shown in the figures. 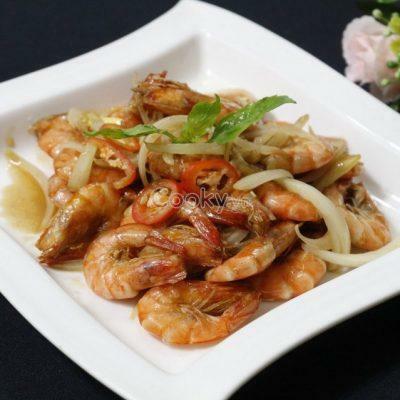 Heat up cooking oil in a pan and fry them. 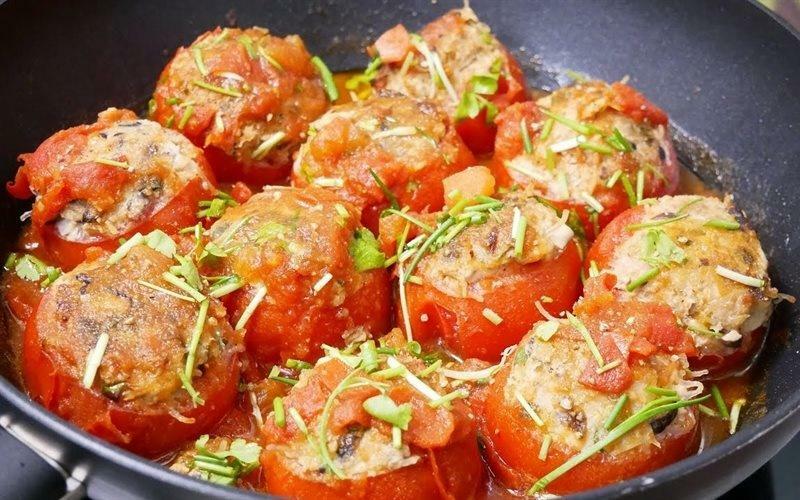 Heat up a teaspoon of cooking oil in a pot and stir-fry ½ of a teaspoon of garlic and add the seeds and the placentas of the tomatoes at step 1 into the pot. Also, add condiments to make it tasty. 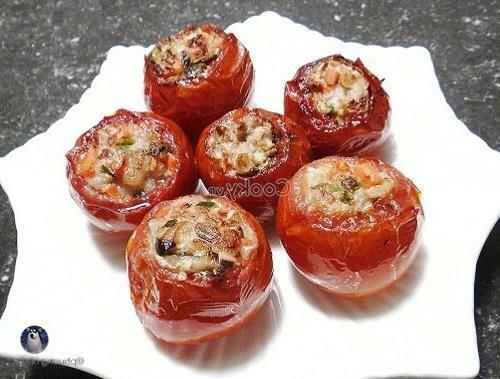 Then, add the tomatoes stuffed with minced pork into the pan and cook them finely.